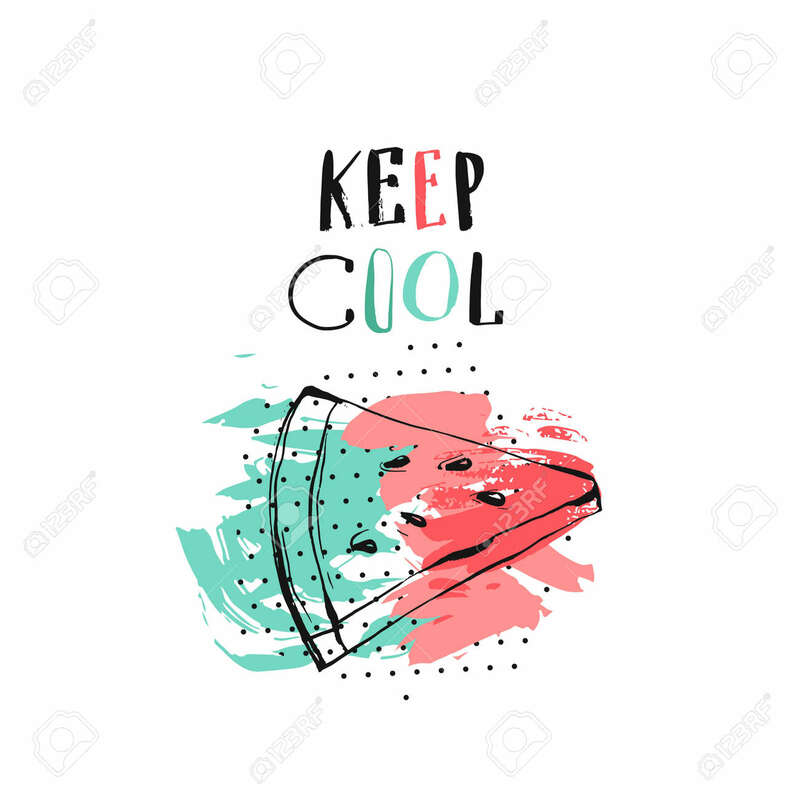 Hand Drawn Vector Abstract Creative Unusual Summer Time Funny Illustration With Watermelon Slice,modern Calligraphy Quote Keep Cool.Journalling,birthday,fashion Art. Royalty Free Klipartlar, Vektör Çizimler Ve Stok Çizim. Image 78918761. Stok Fotoğraf - Hand drawn vector abstract creative unusual summer time funny illustration with watermelon slice,modern calligraphy quote Keep Cool.Journalling,birthday,fashion art.